For our inaugural post of the summer, Megan and I picked a restaurant that seems to fly under the radar within the WNY food scene even though we’ve heard unanimously good things about it. We headed over on a recent weekday evening and ended up having a relaxed, enjoyable, and–more than anything–tasty meal. When we arrived at around 7:30pm, the restaurant was almost completely empty: no one was there aside for one couple finishing their meal. Eventually, our server/waitress came into the dining room and told us to choose a seat. This encounter was indicative of the service throughout the night: exceedingly relaxed and informal––a bit more like a cafe than a full-fledged restaurant… which would make sense, given the name. The interior design of Ming Cafe follows suit: it is pleasant and cozy. There aren’t any thrills, and if there were they wouldn’t be necessary. The restaurant is (amazingly) BYOB, and the same glasses given for water (which was never refilled) are to be used for wine. 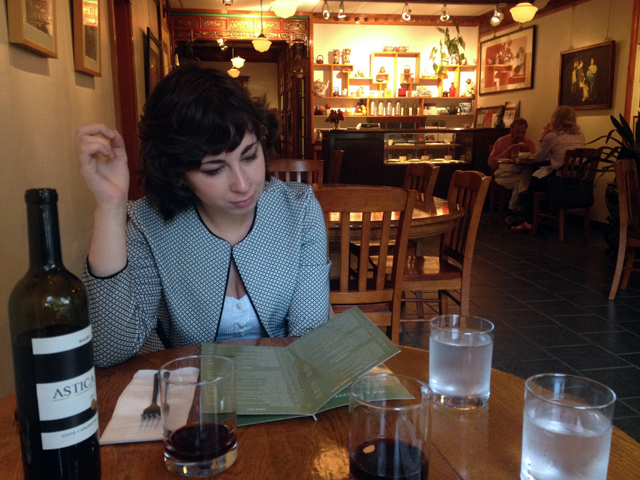 After we opened our own bottle of Malbec, we settled in and poured over the menu––taking our time. As an appetizer, we ordered a plate of Pan-Fried Dumplings ($8). While the dish normally comes with 6 dumplings of one kind, we asked if we could get three tofu and spinach and three pork; this was not an issue. The dumplings arrived at the same relaxed pace, but they were worth the wait. They appeared to be homemade and carefully fried, with a thicker dough that usual. We really enjoyed the texture of them––crispy on the outside while thick enough to still be pillowy inside––as well as the fresh, tasty, and simple filling. They reminded us a bit of a Chinese pierogi (in a great way). The stars of the dishes were found in their names. 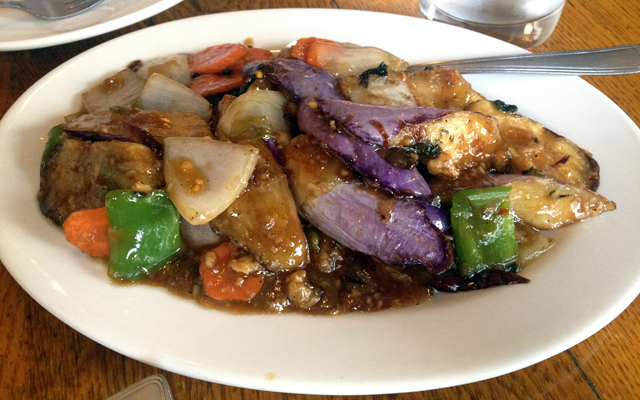 Megan’s eggplant were cooked perfectly––no mushy eggplant here. The attractive halves of skin-on eggplant were soft enough on the edges to soak up the delicious sauce while still al dente and floral in the middle. 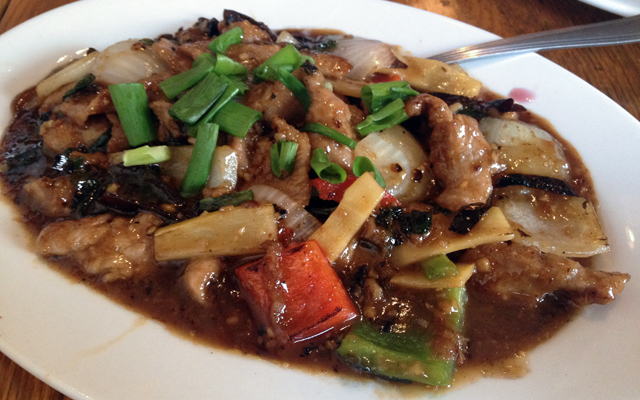 My pork was similarly cooked well: each piece melted in my mouth and was full of the flavors of the sauce. Our only small qualm regarding the food lies with the rice. For $3, we figured that the side of jasmine rice would be big enough to split. It was not. What arrived was a small dish––a small scoop, really––of steamed rice, and we had to order another once we realized this. While Ming Cafe is not the cheapest Chinese restaurant around by any means, we are happy to pay for the high level of quality and attention to detail present in the dishes. However, paying $3 per person for what should ideally be included with the dish for free felt a bit absurd and was more irritating than anything else. 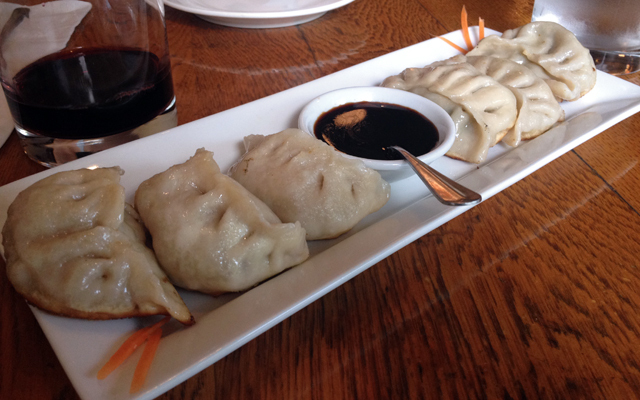 We left Ming Cafe with a solid buzz from both our wine and our satisfying food. For just under $60 after tax and tip, we had an extremely solid meal of Chinese food, which is easier said than done in WNY. Ming Cafe excels in certain aspects and only disappoints if the diner isn’t prepared for the type of meal and service they are about to receive. For a casual and relaxed weekday meal with a very small group of people, you can’t go wrong with Ming. We absolutely plan to return (especially for their lunch specials over rice, which seem extremely reasonable at ~$8) and assuredly join the contingent of Buffalonians who have supported Ming over the years.